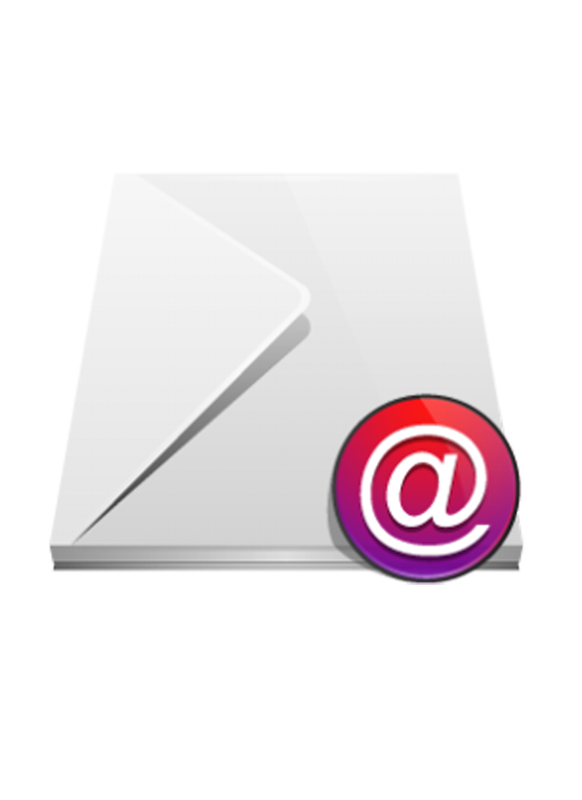 AutoDocMail™ is a plug-in for Adobe® Acrobat® software for automatic distribution of PDF documents via e-mail. The recipients email addresses are either extracted from document’s text or assigned based on user-supplied “keyword-to-email” or “file name-to email” correspondence tables. Each PDF file will be delivered as an email attachment in a separate email message. There are options to customize email message text, password protect outgoing files with passwords extracted from document’s text and attach additional files to each email. E-mail volumes of personalized PDF documents such as invoices, statements, reports, bills and etc. Increase your productivity and save valuable time. The plug-in takes a list of PDF files as input and searches documents text, annotations and properties for email addresses (including "cc" and "bcc") and message subjects. The results of this search are presented to the user for review and editing. User can add or remove recipients, modify message subject or content of each e-mail message. Once satisfied with the results, user sends documents for distribution via e-mail. Outgoing documents can be optionally secured with a password with specific access permissions (such as editing, printing and etc.). The plug-in maintains a message log that records a date, time, file name, and all recipients of each document / e-mail message. Multiple PDF documents that need to be delivered to different recipients. Single PDF document(s) that contains pages that needs to be delivered to different recipients. The software can take multiple PDF files that represent invoices and automatically search each file for an email addresses (including CC and BCC), if email address is found – email the file to the recipient. The software can take a single PDF file that contains multiple pay stubs (one page per stub), automatically split it into separate PDF files and send each file to the email address listed on each sub-document (pay stub). The software can search a PDF file using a set of user-defined search keywords (for example social security numbers) and assign the corresponding email recipients. Use this method to assign emails based on account numbers, company names, customer IDs and other similar identifiers. The plug-in adds "Plug-ins > Auto-Email Documents..." menu and a corresponding toolbar button to the Adobe Acrobat user interface. There is no separate application to launch - all functionality is fully integrated with familiar Acrobat interface. The plug-in takes multiple PDF files as input and automatically routes them to the correct recipients saving your valuable time and increasing your productivity. Distribute hundreds or thousands of PDF documents with simplicity of sending a single e-mail. Just select input files and the software will do the rest. The plug-in automatically searches PDF documents for email addresses (including "cc" and "bcc"), message subjects, custom names for the attachments and greeting lines. Document's text, annotations and properties can be searched for this information. Specify default e-mail recipients, message text and subjects to automate document distribution. Not every PDF document contains email address(es) or can have them easily added to the document’s text. This is where keyword-to-email mapping comes to rescue. It is possible to associate custom keywords with destination email addresses and easily handle documents without printed emails. Use this method to assign emails based on company names, account numbers, SSNs, customer IDs, TINs, EINs, and other unique identifiers. The plug-in provides an option to determine a recipient for each outgoing file based on a user-defined filename-to-email mapping. Simply type in filenames and corresponding email addresses and the plug-in will do the rest. The plug-in provides ability to block certain e-mail addresses from being used. This feature is useful when document's contains certain e-mail addresses as a part of text which should be excluded from a recipient's list. Use text annotations to add e-mail recipients and message subjects to the PDF documents that do not contain this information as part of the text. Text annotations can be added using "Tools > Comments & Markup > Sticky Note" tool or using a "Typewriter" tool. These text annotations can be optionally deleted by the plug-in from the actual files that emailed to the recipients. Use document properties to add e-mail recipients and message subjects to the PDF documents that do not contain this information as part of the text. Document properties can be edited via "File > Properties..." menu. It is very common to have a single large document that contains many pages that needs to go to a number of different recipients. For example, you may have a document that contains pay stubs for the whole company and you want to email each pay stub (1 page) to a correct person. The plug-in can optionally split an input document into a set of smaller files using a user-specified number of pages per file (1 page per file for the pay stub example). The software will handle this document as it were a set of separate files. You will only need to add an email address (and a password) to each pay stub while generating it. Most document management systems easily allow that. The plug-in optionally combines multiple sub-documents into a single file based on recipient's email address. Easily review, edit, and modify extracted email addresses, message text and subject, preview PDF attachments before sending documents out to the recipients. The software offers two different ways of sending e-mails: using your existing MAPI-enabled email application or via SMTP Internet mail server. SMTP is the de facto standard for email transmissions across the Internet and provides functionality for sending volumes of e-mail messages without user interaction. The amount of the emails sent is subject to a daily quota from your email service provider. The software provides ability to create and use multiple configuration settings. Each configuration has its own name and contains all options and settings that are necessary to process and distribute documents. Using multiple configurations greatly simplifies managing different projects and reduces time necessary to switch from one project to another. Any settings configuration can be optionally secured by a password. If a configuration is protected by a password, then the plug-in prompts user to enter a password before processing documents or editing settings. Use password-protected configurations to limit access to document distribution to authorized users only. You can configure the plug-in to use SMTP servers provided by Gmail or Office365 to send out documents. Please note that you have to comply with Gmail/Office365 end-user agreements and anti-spam policies. The plug-in provides an option to pause for a user-specified number of seconds (0,1,3,5,10,15,20) between emailing groups of 5 emails. This option is useful to avoid emails to be labeled as spam by some internet servers. Distribute more than a single file to each recipient using a list of default attachments that should be emailed to all recipients indiscriminately. Optionally secure outgoing PDF documents with a "document open" and "user permission" passwords. Restrict editing, printing and content extraction. Recipients will be required to enter a "document open" password in order to view its content. The plug-in provides three different ways of password protection: a "global" password that is the same for all outgoing documents, or a document-specific password that is extracted from document's text (and text annotations) using a "password" keyword (For example: password: abc123), or is read from document's properties (custom "Password" property is used to specify a password). The software supports 3 different encryption levels provided by PDF format: 128-bit RC4 (compatible with Acrobat 6.0 and up), 128-bit AES (compatible with Acrobat 7.0) and 256-bit AES (compatible with Acrobat X.0 and up). The plug-in provides special safety checks that prevent emailing documents with page count and file size that is outside of user-specified parameters. The plug-in records date, time, file name, and all recipients for each outgoing e-mail. The plug-in adds "Auto-Email Document" batch command to the batch processing framework available in Adobe® Acrobat Professional®. This command can be used to add "auto-email" functionality to any Acrobat batch sequence. Download and evaluate a 30-days fully featured trial version of the plug-in. The only limitation of the plug-in is a "DEMO" watermark that is added to each page of outgoing PDF document if a password-security is requested. Otherwise a trial version is absolutely identical to the full version of the plug-in.